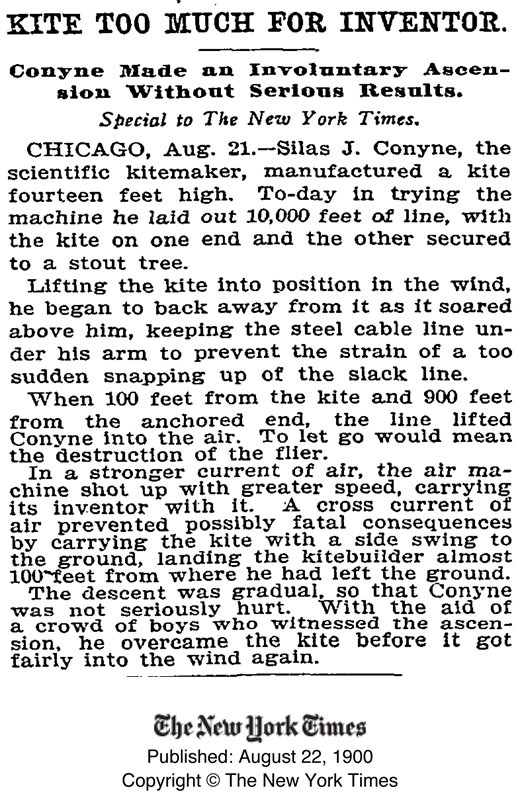 Silas J Conyne, described by the New York Times of the day as being a scientific Kitemaker. He developed and patented what has become to be known as the French Military Kite but on a day in August 1900 in Chicago he got more than he bargined for. His kites were used by George Lawrence. 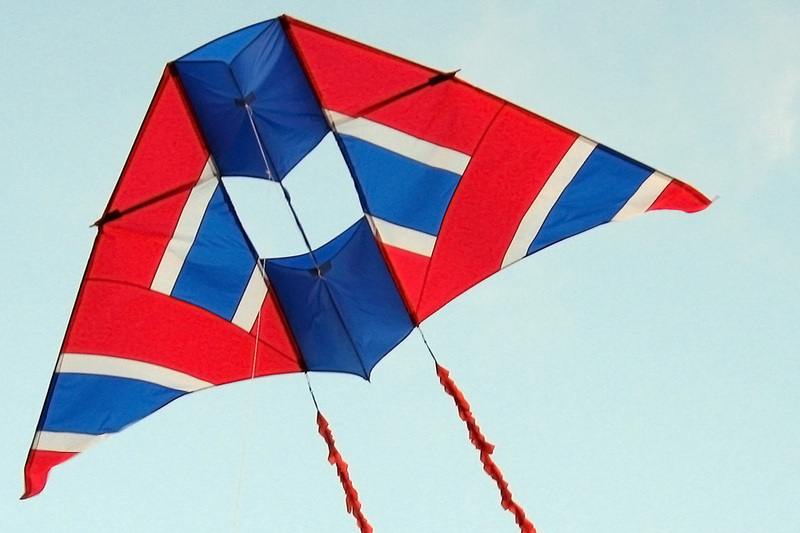 My own favourite kite is a development of the original Conyne and is called a Delta Conyne, combining the two quite distinct kites together.